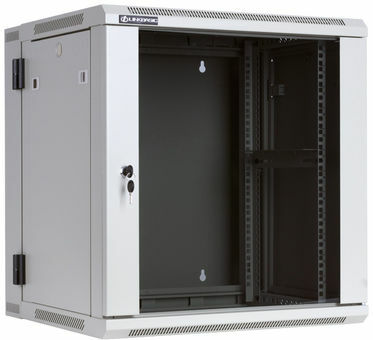 Two-section WCC cabinet with a mounting height of 12U is usually used in CCTV systems, alarm systems and access control, where quick and easy access to the rear section of the cabinet is an important factor. Thanks to this, access to the rear side of the mounted devices does not cause any problems. The color of the cabinet is gray RAL7044. In addition to the ability to mount devices in the 19 "standard, using shelves, it can also put other devices not compatible with the rack system, such as switches or recorders A wide range of optional accessories allows better fitting of the cabinet to your needs.